NMMU brings together the best traditions of technikon and university education, and draws on more than a century of quality higher education, in a new kind of university that offers a wide range of academic, professional and technological programmes at varying entrance and exit levels. 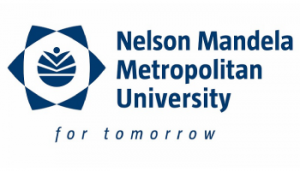 Nelson Mandela Metropolitan University (NMMU) is a new generation university, distinguished by its wide range of study options and commitment to serving society. Founded on more than a century of quality higher education, NMMU nurtures innovation, fosters creativity, embraces technology and develops people to meet the challenges of tomorrow. Our affordable, quality higher education is offered to more than 26 000 students across six campuses, making NMMU the largest university in the Eastern and Southern Cape. NMMU brings together the best traditions of technikon and university education, and draws on more than a century of quality higher education, in a new kind of university that offers a wide range of academic, professional and technological programmes at varying entrance and exit levels. An NMMU qualification is your educational passport to the world. Through benefitting from a life-changing educational experience, NMMU graduates and diplomates will be known for demonstrating in-depth disciplinary /interdisciplinary knowledge; social awareness and responsible citizenship; adaptive expertise; creativity and innovation; critical thinking; intra- and interpersonal skills and communication skills. NMMU’s programmes are recognised and accredited by the relevant professional bodies, locally and, in some cases, internationally. How long is my studies? What are the financial facts that I need to know to study at NMMU?